Our coops are designed for people who want a high-quality, user-friendly, ingeniously-crafted chicken coop on wheels. They will provide year-round protection and many years of trouble-free service. Egg Cart'n is a small family owned business that specializes in top quality chicken tractors and other products for the backyard poultry enthusiast. 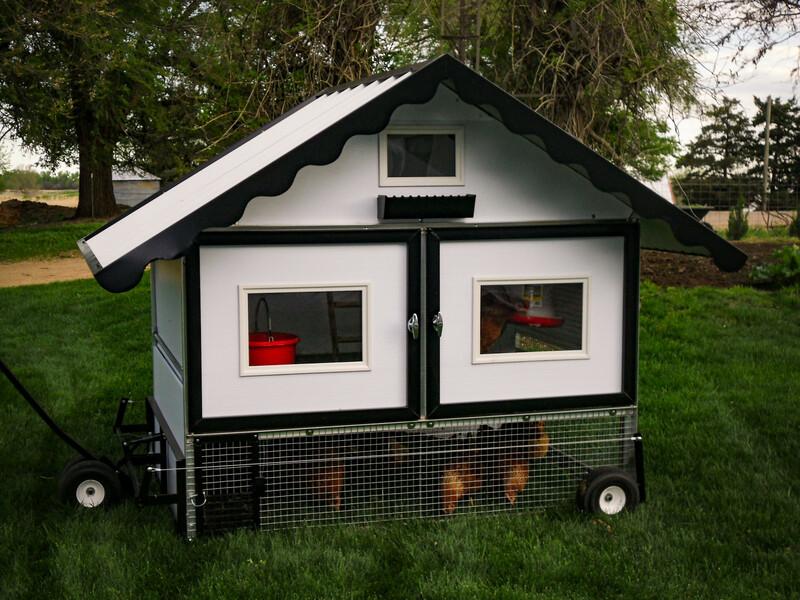 Chicken tractors are portable chicken pens that allow your chickens fresh grazing every day. Generally chickens and children go together well. Check out this article for breeds that work especially well with children. For chicken tractor options check us out at www.eggcartn.com. Are you interested in getting your kids involved in chicken-keeping? Learn about breeds known to be gentle and better for family farms.